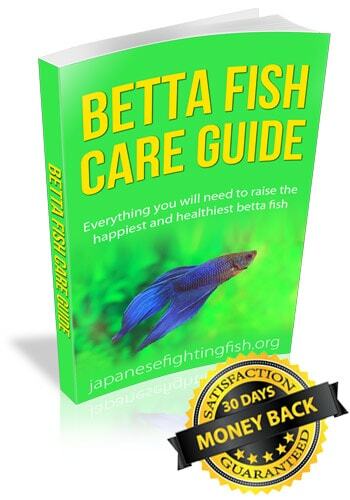 This is the ultimate one page betta fish care guide it outlines each important aspect of betta fish care, from tank size to tank mates. Are tank mates a good idea? It’s great that you are here ready to learn more about betta care, hope this page helps! Please remember to use the social share buttons if you feel this page is of value – we think this page could help improve the conditions of many betta fish’s lives if shared wide enough! Ok, let’s help some betta fishes. Looking at a betta fish’s natural habitat for basic betta care. The natural habitat of the betta fish is the shallow streams and rice paddies of Thailand. Though shallow these are huge areas of wetland. -Give your betta a lot of personal space.-‘Shallow stream’ does not mean ‘can live in a jar’. A shallow stream still has plenty of space for a betta to swim! – A 5 gallon tank is a perfect size for one male betta (but the bigger the better). – Keep your betta fish in a small vase or bowl. The tropical waters of Thailand (formally Siam). -Keep your betta fish’s water in the high 70s deg F (78 – 80F). -Keep your betta fish in cold water. -Put a heater on a tank <1 gallon. Heaters on small tanks will heat too quickly which is bad for the fish’s health. Betta fish are labyrinth fish. Using a special bladder to breathe from the water’s surface. -Leave some space at the top of your tank for the fish to come to the surface for air. -Leave no space. It is very bad for the betta’s health if they do not use their labyrinth bladder from time to time. -Fill water to the top with no lid. Betta fish can be good jumpers! Wild betta fish are from still waters. -Use a gentle filter. This will keep up the water conditions longer and the tank cleaner. Resulting in fewer and smaller water changes (which can stress your fish). -Keep your betta in a tank without a filter if you are not prepared to do regular and large water changes. Dirty water is the cause of so many diseases. -Feed your betta fish with a few betta specific pellets per day. -Use generic aquarium flakes. It is best to stay away from the generic flakes and to use the food specifically created for betta fish. Betta fish live quite a solitary life in the wild. Male bettas particularly are territorial of other colorful males that could pose a threat. Domesticated betta fish were once bred for fighting. This aggression can still be seen in domesticated bettas today. They are called ‘Siamese fighting fish’ for a reason. -Keep betta fish with fish with bright colors and flowing fins. Bettas will still feel threated by these fish and may fight. Betta fish come from shady rice paddies / stream often surrounded by submerged plants. -Drift wood is often a favourite betta decoration. Swimming and hiding under the uneven stumps. -Place ornaments that are rough or have sharp edges. Betta’s fins are very delicate. -Use a standard terracotta pot. This seems to be popular in some aquariums but I have seen some horrible injuries to fish on its sharp edges. -A bare tank is not very exciting for your betta fish. In the wild betta fish would get regular periods of light and dark from the sun. They live in shaded water. -Provide a light period to your betta throughout the day. An aquarium light on your tank is recommended. -Turn this light off during the night, giving your betta fish time to rest (as it would in the wild). -Include shaded areas in your tank for your betta to relax. -Keep a light on all night. This can stress the fish. -Put your tank in direct sunlight. This promotes algae growth which will then lead to more regular tank cleaning. We hope all that information was helpful to you. Hope you learned something and agreed with what we had to say, we would love to hear your thoughts on Twitter @BettaInfo. How often do you feed them? I was told every 2nd day was ample. I have been feeding Goliath everyday. You should feed your betta fish every day with a few pellets. Their stomach is only as big as their eyes so be careful not to over feed. Many owners like to have a day of fasting for their betta once in a while. This helps the digestive system reducing constipation. I give my betta fish 3 pellets in the morning and 3 at night. He is just fine! I feed my betta 5 small pellets a day. I have had no problems with this routine. when you first get your fish is there any preparation you need to make to the tank, gravel or plants before you put your fish into the tank? The one we got just stays in the corner of the tank and doesn’t swim around. He is still alive, but very inactive. How strong is the flow on the filter? Our fish was very inactive, due to general dislike of the current generated by the filter. A baffle (made of a clean, new fish tank cleaning sponge and a rubber band that had been cleaned of any residue in dechlorinated water) over the output of the filter cut flow immensely, and now our fish happily swims everywhere. Even the filters “built for” 5-gallon tanks have a standard output flow of between 10 and 20 gallons per minute (gpm). This grabs your fish by the fins and bats them around the tank like a cat with a new toy. Thus, they stay on the bottom, in a far corner from the flow, in order to avoid this abuse. A baffle on the output (NOT the input, as this will overwork and burn out the pump) will make it so your fish can swim; but it will also make it necessary to check on the water a bit more often; just beware. What do you do if fish spits out food? It just isn’t used to the food. It probably was eating another food. My brother’s betta was like that for a little while, but he got used to the food. I have had two bettas. One wouldn’t even touch the first type of food I bought him. He would not even come up to examine it, but the second kind of food he devoured. Bettas can be a bit picky, or at least the two I have had were. He is probably just surprised at the change. Also, bettas are top feeders. My betta has been very active, however I noticed tonight she just wants to what looks like staring out of her tank. I just got her 4days ago, could she just be adjusting to new surroundings,or should I worry?. Check to see if you fish looks bloated or ill in any way. But you should give this more than one day to get worried if there is nothing else wrong. Can you put a female beta with the male if you have a 5 gallon tank? No, this tank is too small for more than one betta. Also a male and female should not be kept together. They should only be put together for breeding. We got our first little beta on Saturday (it’s now Monday) and the little guy just hides under his heater 95% of the time. He’s got quite a big bowl filled with purple stones at the bottom and then some coral and shells in there too. I’ve laid the heater on the bottom of the bowl and cover it in the purple stones (was told to do this by pet shop lady and directions in heater packet) the fish keeps digging out a little nook under the heater and hiding under there. He very rarely swims around the rest if the bowl… Is this normal? Should I be worried? In the first place corals or shells should never be added to any freshwater fish setup. This will increase the ph and stress out your fish. Secondly a heater in a bowl is not recommended, since, the total area is less and the water tends to heat up fast which is bad for the fish. Try removing the heater and check the temp of the water. If its at room temp at 26 to 28 deg centigrade that should be fine. Lastly avoid any kind of artificial colored stones, since, they leech out unwanted chems in the water. Try replacing it with small round white pebbles which you will get at your LFS. The guy should be fine. Except that many of us are not comfortable in a house that is 78-82 degrees F (26-28 C). So how are we supposed to keep the tank at the prime temp for a Betta without a heater? Sarah June. Two things. Bowls aren’t suitable for betta fish as they do not allow for proper circulation. The second. Betta fish originally live in the shady rice paddies of northern India. They require places to hide and chill out. They need shady spots and your aquarium so you need to provide a cave of some sorts also a lid as they are jumpers. Finally switch your tank light off at night so they can rest. Your betta will look paler in the morning but this is completely natural. Good luck. 5years experience. I just received two Betta fish as a gift , yesterday and I don’t have any Idea how to care for them . my worries are the water temperture if they really need a filter too ! Yes you should really have an aquarium set up with a filter and a heater. This is what betta fish need to be healthy. I have a blue Betta fish, Fabio. He has been doing well the 4 months I have had him. Yesterday, I noticed him tail color was a bit brownish. I switched out his water, but he jumped out of the net I use to get him out of the bowl. Quickly, we placed him in a cup. After cleaning his bowl, we put him back in. He was acting strange. He couldn’t swim down, even when I coaxed him to try. He seems to back to normal now( about 24 hours later), but His tail is still that color. I though at first rotten tail, but only his dorsal fin looks uneven. If I gave him antibiotics, would it hurt him? I am not sure if it is rotten tail, but would like to take care of it if it is. Also, if I can give him antibiotic, do you have any brands to recommend? You can get Bettafix. The only company I have found it made by is API. I used Dr. Tim’s bacteria booster to get my tank started and it worked great. I’ve also heard that tetra safe start works too. i think articles like this are pretty neat but i got a lot of info from forums like fishlore, aquarium advice/these are good. But stay away from tropicalfishkeeping as they tend to have a lot of novices on those forums giving bad advice. Just curious, about how long do betas live if healthy? does a little tank work? or you have to have a 5 gallon tank? We suggest a 5 gallon tank for the happiest and healthiest betta fish. Small tanks and bowls are not ideal betta fish tanks. Hey all, just got a Betta fish for our Daughters first pet, we have a smallish tank around 5 liters roughly 1 and a half gallons, it has an ornament and a plant inside it, no filter as we plan to change the water with our Daughter on a regular basis to teach her about schedules with birds, then dogs etc.. We have been seeing 5 gallons is the minimum recommended, but when we spoke to pet shops, they tell us no, it’s too big? We want this fish for as long as possible, but there is just too much needed to care for them it seems, kinda wishing we got a bird now! Haha! Any info for new comers wanting to make the best of it? Thanks all! Not sure if you’re still looking for answers, but I have had both birds and fish and can tell you that birds are MUCH more high maintenance than a betta fish. I currently own two finches – considered low maintenance in the bird world – and they require constant attention and maintenance to remain healthy and happy. I have previously owned budgies (parakeets) and they needed even more work. Pet stores will often state that the small “betta kits” are large enough. This is not correct. Pet stores want to sell their betta kits, so of course they’ll insist that these are large enough for a happy fish. However 5 gallon is the ideal. It’s also ideal for you to have a larger tank simply from an ease-of-care aspect: larger tanks require less frequent cleaning/water cycling – weekly or semi-weekly rather than daily or every other day. Cleaning/water cycling is also a stressful process for the fish, so the necessity of more frequent cleanings is not ideal for you or for the fish! Also, they are a tropical fish, and so require a water temperature of around 78-82 degrees Fahrenheit, which is warmer than most homes. A larger tank makes the temperature much, much easier to regulate, as fluctuations in temperature happen much more slowly in larger amounts of water. This will keep your fish healthier and happier! In fact, most tank heaters are not rated for anything below 5 gallons, meaning they will heat the water TOO much in a tank that is too small. This is another reason that a larger tank is preferred for bettas. (Tank heaters made specifically for betta tanks can be found at most pet stores and are fairly inexpensive and easy to run.) In addition, bettas really appreciate having little cave-like spaces to hide, so depending on what your ornament looks like and how much shelter it can provide, you may consider looking for a little betta hide. Hopefully this answered some of your questions. Best of luck with your little friend! Hi Amber, thanks for getting in touch! A bowl is not really suitable they are too small. If you were in a tropical country at least the water temperatue would be about right but a filter is also really needed for water quality. A beta fish can survive in those conditions however they are not ideal. This is a great care info for betta fish, but if you live in a tropical country like me (Philippines) you don’t really need to heat your water haha the water here is already perfect for them we just add some salt and all is perfect haha… just sharing my experience hehe.. I am a brand new betta owner and picked up my little crown tail from a pet store last weekend. When I bought him, I didn’t know what to look for in a healthy fish but after bringing him home, I noticed his fins do not look like they are in good condition. I was hoping they’d get better after being in a bigger tank with a filter and a heater but there has been no changes. I have been changing the water every other night but the tips of his fins are still bent and he is missing the ends of all his back fins. Is something wrong with my fish and how can I help him? This morning I forgot to turn my tank lights on before I left for work. I immediately turned them on when I got home at 4pm and had realized what happened. The lights have been on for about 3.5 hours now. I get up early, so I usually go to bed around 8. Will my Berta’s be ok with only 4hours of light? This is the only time it’s happened. We like to use a timer on the plug socket so our light automatically turns on and off without us.